There is a famous saying in China : "When Piqua is added to Baji, demons and spirits will be terrified" and "When the Baji is added to the Piqua , heroes will sigh knowing they are no match against it." 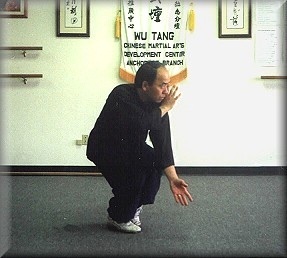 The Bajiquan (or the Eight Infinite Fist style) is the trademark of the Wu Tan Kuo Shu Lineage. Bajiquan is a very ruthless and direct style which teaches a person to defeat an attacker with a single technique. It is a close-range style that uses all eight locations of the body (head, shoulders, elbows, hands, feet, buttocks, hips, and knees) to deliver cruel and painful strikes. A main feature of this style is its loud stomps which punctuate its discharge of energy. 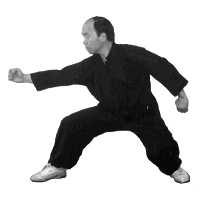 The training is quite harsh; students spend a long period of time maintaining low stances to develop its notorious internal power (jing). Bajiquan is taught along with Piquazhang (or the Splitting Deflecting Palm Style). Piquazhang is a style which teaches primarily palm strikes. The jings taught in Piqua are long and continuous. Its movements are wide and circular, the total opposite of Bajiquan. The two styles compliment each other: Baji is a hard, linear, and close-quarters style; Piqua is a soft, circular, and long-range style. Both hard and soft are needed in order to be balanced, as the Daoist theory of opposites (Yin and Yang) instructs. These styles are taught only to indoor disciples of the Wu Tan lineage. Although Bajiquan is said to have been created during the mid-Ming Dynasty, little is known about its origins or founder. The style was originally named Baziquan (Rake fist) because the fist was similar to a rake. That name was considered "ugly" though, so it was changed to Bajiquan. The only person who can be directly linked to Bajiquan is Wu Zhong, a Chinese Muslim from Cang County , Hebei Province. Wu Zhong lived during the Qing dynasty, a period when China was ruled by the foreign Manchus. A story is told of two wandering Daoist monks, Lai and Pi, who taught Bajiquan and Piquazhang to Wu. According to Sifu James Guo's homepage, these Daoist monks may have been Ming rebels in disguise. Wu Zhong was himself a Ming rebel who wanted to overthrow the Qing government. He taught the style to many people from his family and town but eventually he was found out by the Qing and paid with his life. 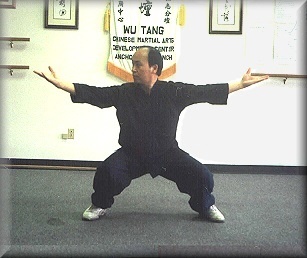 Bajiquan and Piquazhang were taught together as one style during the time of Wu Zhong. The two styles continued to be taught separately until the coming of Great Grandmaster Li Shu Wen (1864-1934) of the Zhang Sha village, Cang County. Li Shu Wen was taught Bajiquan by Jin Dai Sheng of the Mong Village and Piquazhang by Huang Si Hai of the Luo Tong Village. Li Shu Wen then reunited the two styles. It was not until the time of Wu Rong, Wu Zhong's daughter, that the style split into two separate systems. Since Wu Rong was a woman, Piquazhang's soft movements were more useful to her than Bajiquan's forceful movements. After her father's death, Wu Rong taught only the Piquazhang style to her students in the Luo Tong village. But in Wu Zhong's home village, the Mong Village, only the Baji style was taught. Grandmaster Li accepted many challenges and never saw defeat. It is said that he never knew the feeling of a second punch since his first punch would kill his opponents. There is a story of a famous Six Harmony Mantis master who was offended by Grandmaster Li's remarks about his style. Grandmaster Li claimed that the master's style took too much time and was useless in a fight. Angered by that remark, the master challenged him to a fight. Before the master threw the first strike, Grandmaster Li immediately punched him and killed him instantly. Grandmaster Li Shu Wen was also known for his spear fighting skills. He was given the name of ""God of Spear"" for his prowess in spear fighting. Unfortunately, he had many jealous enemies and was later poisoned. 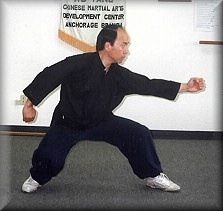 Many accomplished martial artists sought out Grandmaster Li to teach them the Baji and Piqua styles. Three of his students taught Bajiquan to the bodyguards of China 's most influential leaders. This is why Bajiquan and Piquazhang are considered to be the "Bodyguard Styles." The first was Huo Dian Ge, who was the last emperor Pu Yi's bodyguard. Huo also taught Bajiquan to the emperor and his personal guards. The second was Li Chen Wu, who taught the secret police of Chairman Mao Tse Tung. The final and last closed-door disciple of Grandmaster Li was Liu Yun Chiao, who taught the presidential guards of Chang Kai Chek. 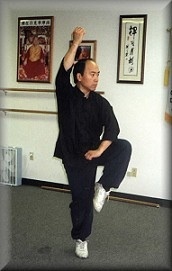 Later, Liu also taught Master Kurt Wong.